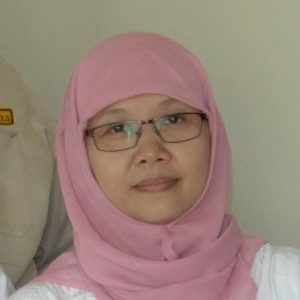 Sutji graduated from Public Communication Department of Universitas Sebelas Maret in Surakarta in 1996, and currently is pursuing her master degree in Department of Anthropology, Universitas Indonesia 2013. Since her graduation, she has actively participated in social research fields conducted by a number of research institution. Having work experience since year 2000 in an institution running operation in environmental and investment issues, she has broad experience in researches related to natural resources such as research on effects of investment to forestry sector, socio-cultural and economic effects from pulp and paper factories and socio-cultural effect from gold mining in several areas. In addition to actively joining institutions concerned on women and children issues and having experience in doing research on women and politics as well as migrant child labours, she also becomes a facilitator in many forums discussing economic globalisation effects on community’s socio-cultural and economic life. And in the last three years, more or less has been working in consultation sector, especially in the area of HCV identification and SIA for Industrial Plantation Forest, oil palm and Logging Concession.